Forget salt, seltzer and baking soda as stain removers. 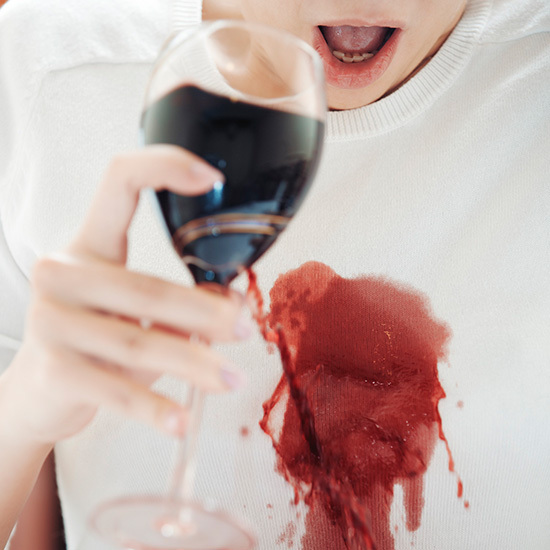 Here's what you really need to get out a wine stain. Forget salt, seltzer and baking soda as stain removers: That’s the advice from Gwen Whiting and Lindsey Boyd, who make a line of at-home laundry products under the label The Laundress. The only way to get red wine out of linen or cotton is to apply a high-enzyme liquid detergent or stain remover (look for enzyme on the label). Work the solution in with a brush, pour boiling water from a kettle onto the problematic area, and then soak the item for 30 minutes.